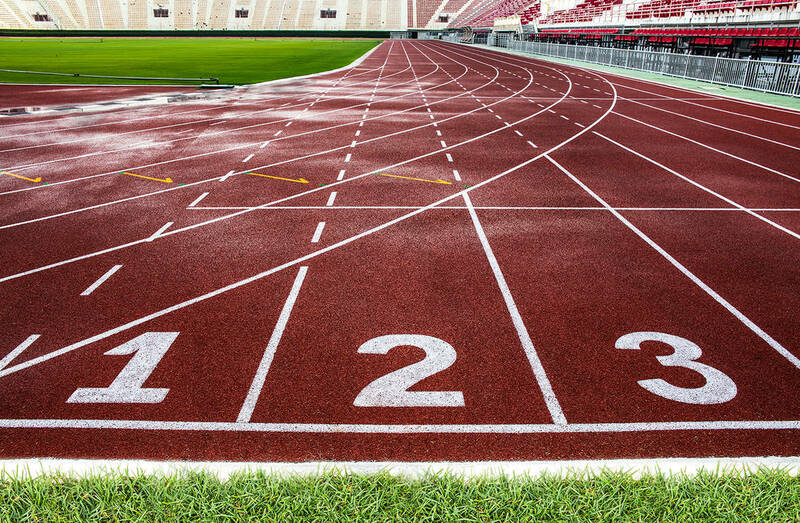 Moapa Valley’s Trystin Lehman won three events on Wednesday to lead the Pirates’ boys track team to victory in a three-team meet in Overton. Lehman won the 100-meter dash in 12.02 seconds, took the 200 in 24.89 and posted a mark of 18 feet, 6 inches to win the long jump. Garrett Clove won the 300 hurdles in 45.44 and was second in the long jump for Moapa Valley, which had 77 points to edge second-place Virgin Valley (73). Valley was third with 35. Virgin Valley’s Braden Bingham won the high jump (5-8), triple jump (36-10½) and ran on the winning 400 relay team. Ty Bryant won the 110 hurdles (17.42) and pole vault (10-6) for the Bulldogs. Valley’s Christian Franklin swept the 1,600 (4:26.89) and 3,200 (9:52.95). At Silverado, Ryan Wurtz won the 100 (11.7), 200 (23.8) and ran on the winning 400 relay team to lead the Skyhawks to an easy victory. Kasen Polson was first in the 400 (55.3) and ran on the winning 800 and 1,600 relay teams for the Skyhawks, who had 154 points. Laughlin was second with 42, followed by Lake Mead with eight. Silverado’s Aeneas Davis added a win in the high jump (5-11) and ran on the winning 400 relay team. Laughlin’s Gonzalo Sanchez won the 800 (2:13.3) and 1,600 (4:51.9). At Green Valley, Allen Rios and Esondre Christian each won a distance event and ran on the winning 3,200 relay team to lead the host Gators to a 76-47 win over Basic. Rios won the 1,600 in 4:59.69, and Christian was first in the 3,200 in 11:06.11. Maaliek Duncan won the 200 (24.21) and finished second in the 100 for Green Valley. Jayson Fabiyi won the 110 hurdles (16.97) and 300 hurdles (46.26) for the Wolves. At Coronado, Justin Watterson won the 110 hurdles in 15.71 and ran on the winning 800 relay team to lead the Cougars to a home victory in a rain-shortened meet. The Cougars had 80 points, followed by Liberty (52), Foothill (32) and Spring Mountain (10). At Centennial, Devin Jackson won the 110 hurdles in 16.45 and the 300 hurdles in 41.83 to lead the Bulldogs to a 51-18 win over Faith Lutheran in a meet that was halted by rain. Sever Stewart won the 400 (52.64) and was second in the 110 hurdles for the Crusaders.